Answer: The simple answer to this is to join us on Jockey Box/Chili Cook-off and Big Brew Day, Saturday, October 20th at Carl Townsend’s house. You bring a cooler, and we’ll bring a bunch of supplies, so at the end of the day you can head home with a new portable beer serving system. The critical thing from a planning standpoint is to let us know ahead of time how many taps you want, so we can plan accordingly. I need to place the order for tubing in advance, so if you haven’t already signed up at the August or September club meeting and want to join the construction project, please send me an email at [email protected] by Oct 1st. Each line will get a ten-foot piece of 3/8” stainless steel tubing, and you can buy as many lines as you want. Tom Rierson has come up with the lightest and simplest jockey box concept I’ve seen. It also happens to be inexpensive to build. Best of all, in the blink of an eye, it can go back to just being a cooler. The heart of the system is a zig-zag piece of stainless steel tubing that neatly fits into the bottom of the cooler. We’ll be bending these up on jockey box day to exactly fit your cooler. Multiple coils can fit easily at the bottom of the box. My box shown here, has four taps, though it can easily accommodate six taps and even more if you have a bigger box. Then, some flexible hoses connect up to ball locks or pin locks (whichever type your keg has). The outlet as shown here is a set of picnic taps, mounted in a piece of insulation. Tom has done some temperature studies to show that in fact your beer will come out cold even on a hot day. The ten-foot sections of tubing are perfect for the sampler sized pours of beer. If you want to pull larger servings of beer, you can hook up the coils in series. The base cost of each line is about $35, (or a bit less if we order enough tubing) depending on what options you want to add. If you already have ball locks hose clamps and tubing, you can just get the stainless tube. A popular, but somewhat pricey option is to build in feed-though shanks and put in a set standard faucet taps. We’ll have the 7/8” circle-saw cutter on hand if you want to go with this option. We did this with the club expansion system that we built on the last jockey box day, to make an elegant professional look. In addition to the jockey box construction, we will be holding a big brew session and our annual chili cook-off competition. We have room for about 5 brewers so bring your kettles. Bring a crock pot of your favorite red for lunch. Prizes will be awarded for best chili and most interesting chili. We’ll provide some sides to go with it. And, of course, were gonna need some kegs of beer to test out the new lines! Carl’s house is at 3621 Redwood in the Mar Vista part of Los Angeles, 90066. Hope to see you there! Got a question for the Brewmaster? Drop me a line at [email protected]. Also, an archive of prior questions can be found at the Picobrewery website at http://www.picobrewery.com/ask.html. 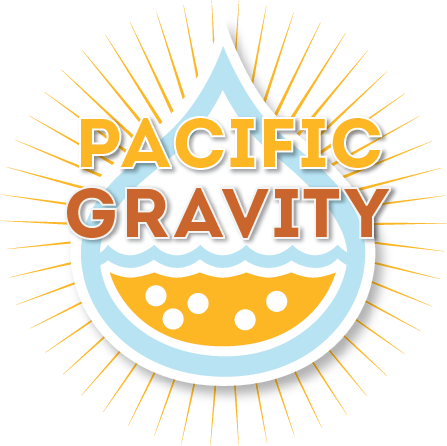 http://pacificgravity.com/wp-content/uploads/2015/01/pg_logo.png 0 0 Tad Johnston http://pacificgravity.com/wp-content/uploads/2015/01/pg_logo.png Tad Johnston2012-09-24 21:35:062012-09-24 21:35:06How do I build a Jockey Box?